A breast enhancement specialist is a cosmetic surgeon who has devoted themselves to perfecting the art and science of breast surgery. The breasts are one of the most popular anatomical regions to seek improvement through cosmetic procedures. Trained doctors understand the goals and expectations you have for your improving body and can help you to realize these dreams by giving you the breasts you truly deserve. This article details the process of selecting a doctor to help you to improve your breasts through enlargement, reduction or lift. 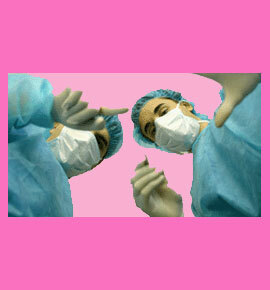 The first meeting with a surgeon is called a consultation. Many doctors offer this service for free, although some charge a set fee. During this consultation, the doctor will begin by talking to you about what you want to change in your breasts. The doctor will listen to your desires and advise you on the best options to realize the results you hope to achieve. Often, actual before and after photos are available for you to see the results attained by other patients. The doctor will examine your body and might further revise their procedural recommendations based on specific issues or indications with your breasts. Some doctors will photograph your breasts in order to show you a virtual reality simulation of how the procedure will look on you, using the high-tech power of specialized predictive computer software. The doctor will also ask you about your general health, to determine if you are a suitable candidate for elective cosmetic surgery. It is very important to be healthy prior to any procedure and a good doctor will not operate on any patient who is perceived as a risk. The doctor will conclude the consultation by answering any questions you have and scheduling you for the procedure if you decide to proceed with surgery. Not all surgeons are created equal. There are large discrepancies in the talent and training of cosmetic surgeons around the world. Some doctors who perform plastic and cosmetic surgery are not even trained in these specialties. Some are merely general surgeons who have branched out into the profitable cosmetic field to bolster their economic bottom line. Other doctors have had sub-par training or are simply inexperienced. It is never a good idea to become part of a young doctor’s learning curve, unless you have seen their work and consider it exemplary, despite their limited experience. Most of the best plastic surgeons are board certified. There are several governing bodies controlling these board certifications. It is a good idea to inquire if your doctor is indeed board certified, and if so, by which organization. Odds are that most reputable surgeons have more than enough knowledge, training and experience to create breasts you will love, regardless of what type of surgery you are planning. 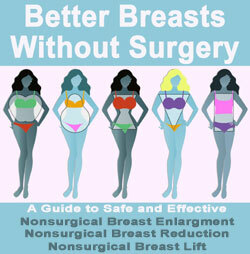 Finding the right breast specialist is a crucial part of planning your surgery. The contribution provided by your doctor is the most important factor in determining the overall results of your procedure. Take your time when considering doctors and don’t be afraid to ask questions. The doctor wants to make you happy, so that you will tell all your friends about their incredible work. It is a good idea to consult with more than one doctor, just to get a more objective view of your options. When you are ready to choose a surgeon, decide wisely. Do not let the financial end of the transaction be the definitive factor. Although it is nice to save money, it might not be a good idea to go bargain hunting when it comes to surgically altering your body. The most in-demand doctors often charge more, but are worth every penny. The talent and experience of the very best cosmetic surgeons are a real value at any price. Most of all, find a doctor who listens to you and understands your vision. After all, it is your desires which will guide the surgeons hand throughout the procedure.